This extra long tie by designer Parsley is a accessory that any taller man can pull off. 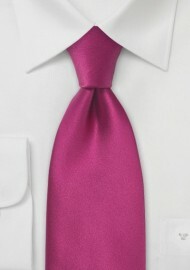 The vibrant hot pink shade makes for the perfect accompaniment to a work and a formal ensemble. This color easily works well for both types of occasions because it is versatile—it can be paired with a lot. 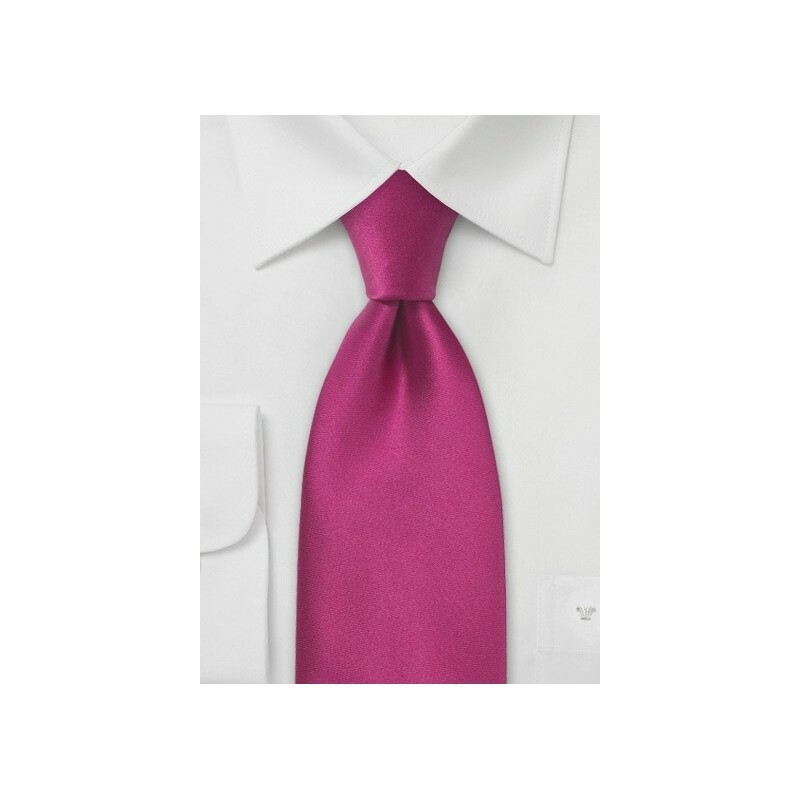 For a professional work outfit, we love this tie with a white dress shirt and a light grey tweed suit. To add some extra cheekiness to the outfit, pair a pocket square that include like colors. For a more formal event, we suggest wearing this tie with either a black or a white dress shirt and a black pinstriped suit. This is a fun look that is classic and timeless. Made from 100% silk.